Give them a gift they’ll never forget! Looking for a truly unique gift? One that will make their jaw drop? We’ve got just what you’re looking for! 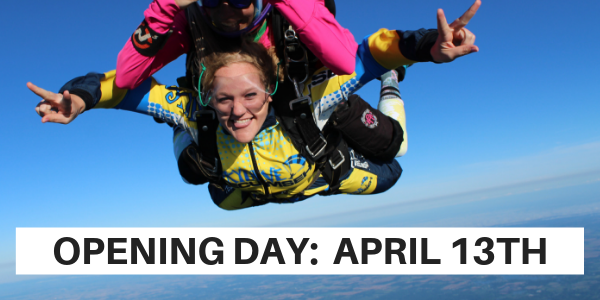 A skydiving gift certificate from MI’s #1 drop zone, Skydive Tecumseh! Whether it’s a birthday, graduation, anniversary, engagement, new job, retirement, or just a chance to fulfill a lifelong dream of jumping out of a perfectly good airplane, a skydiving gift certificate is the perfect way to help a friend or loved one commemorate an important life milestone. Skydiving gift certificates available in $25 increments. Each purchase is delivered instantly as an emailed gift package, ready to print and present. 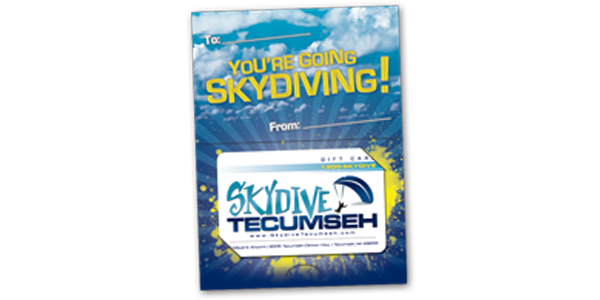 Best of all, skydiving gifts from Skydive Tecumseh can be ordered any time, day or night! Click below to purchase online, 24/7!